The Philosophy Society arranged a workshop on origami which is a Japanese art of paper folding on 14 April 2014. 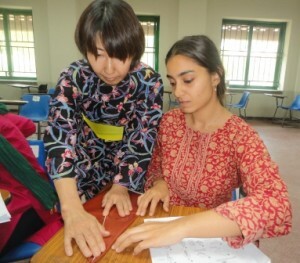 Seven Japanese ladies were invited to FC College who taught the students how to make origami items. Guests especially wore kimonos for this particular event. 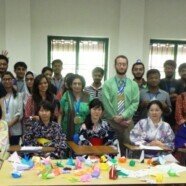 University students were invited to attend the lecture and learn how to create origami items. By the end of the lecture more than a hundred items had been created by the participants.